Thanks once again Richard, the one of Dusty and Rod McKuen is an especially great find, there are so few of them together. By the background, it looks to be on the set of Rod's TV show in London 1971. Most of these you have posted are new to me Richard. Apparently that photo with Rod McKuen was used on the back cover of one of his albums and that back cover was re-used when Zone Records released 'The Rod McKuen Show' in 2017. It would be wonderful, one day, to be able to see the duet medley that Rod and Dusty did on one of his shows. Sweetbaby wrote: I trust those are magnolias on the hat! I'll just say I don't think words can do that hat justice! Interesting that at the Memphis radio station Dusty's wearing the same outfit sans-chapeau. Speaking of hats this wedding photo from June 1963 may be unfamiliar to some - alas it's not enlargeable: we can only feast our gaze on Dusty's hat from a distance. I have this similar one Richard thats a good size. Came across this for the first time today. Alas, the source gave no clue as to location, date or circumstances. Dusty's secretary Pat was a champion speed skater back in the day and Dusty sometimes went along to support or, in this instance, present the prizes. Carole, thanks for filling in the background. I didn't make the connection between the guys on roller-skates and Pat Barnett, as I mistakenly believed that Pat had been an ice-skater rather than a speed roller-skater. Thanks Cas: enlarged Dusty's hat is all I thought it could be - no wonder Mr Pastry is closing his eyes. I have a hunch this costume won't be replicated for the musical starring Katherine Kingsize - that hat would be knocking the spotlights around! The photo of Dusty awarding the Southern Relay trophy was taken at the Alexandra Palace in Haringey on January 22 1966. You are most welcome Richard. The hat is indeed tall! Some pix from Cash Box - top one is enlargeable. Thank you so much Richard. The bottom two are new to me, it makes my day to see new ones. Great searching I know how difficult and time consuming it can be. Thank Richard. Seen the middle photo before but the other 2 are new to me. Also Frans for the full award clip. The '73 Grammys were a missed opportunity for Dusty and Phil Spector to meet: had he attended the award ceremonies Spector would have received his Grammy for producing The Concert For Bengla Desh from Dusty. As far as I know Dusty and Spector were fated to admire each other from afar - thank God their paths didn't cross after Spector's eccentricity had developed to the point of being life-threatening (to others). Click to enlarge (a little). Thank you Richard this one is new to me too. These may be new to some: first two may be clicked to enlarge (especially the first one). Dusty & Helen on same Ready Steady Go! While I have seen other shots from the session, I do not recall having seen this one before. That's a New One for me from that shoot ! Thanks !! Its nice when pics are new to you Jim. Its a lovely one from that shoot, but its been around a long time. Have we had this before? The photo is new to me. It looks like Dickie is giving Dusty a copy of his latest single. The sleeve is for the Pye Group, for whom Dickie recorded, and carries the slogan 'Spin With The Stars'. I would guess the picture dates from November/December 1963 when Dickie was promoting his first single There's Always Me and Dusty was plugging her first solo single. The photo may have been taken at one of the Light Programme's lunchtime pop music shows. New to me too Clive thank you so much. I came across these two fan pics I couldn't recall seeing before. I can't seem to post them both on the one post sorry. Wow, three new photos, thanks Clive and Cas, I don't know how you do it Don't recognise either of the fans but I wonder if it was at RSG? No info with the photos Cas? Have to admit to never having heard of Dickie Rock, so thanks also for the extra info Jim. No no info that I could see really the pics were part of photos being sold in 2010 by Heritage auctions. Just little pics on a page of Mersey Beats pics. Yes I like it Carina, thank you . have we had this before? 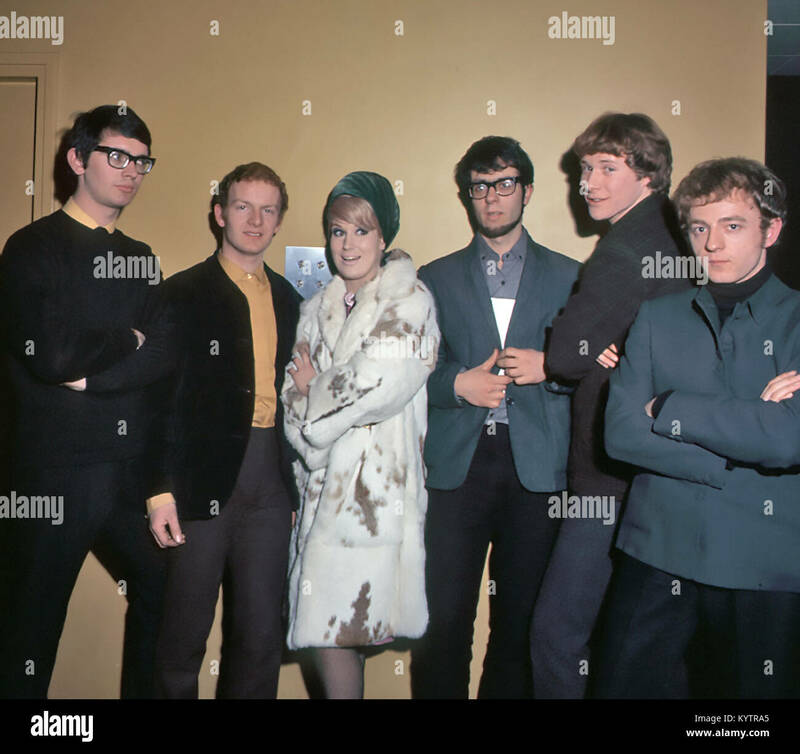 with Manfred Mann. Sorry don't know how to resize it. Last edited by Clive on Mon Feb 26, 2018 6:27 am, edited 1 time in total. Its a great pic Clive, its been on FB a couple of weeks ago. thanks Cas, I'm not on facebook so I missed it there. I came across this signatiure and hadn't seen the pic of Dusty before that I can recall. Here it is in the right size and correct way round Clive, I think it's a great photo. Thanks Carole, yes it's a good one. countrycake wrote: While I have seen other shots from the session, I do not recall having seen this one before. From Record Mirror February 21 1976: does enlarge altho IMHO it doesn't clarify significantly. 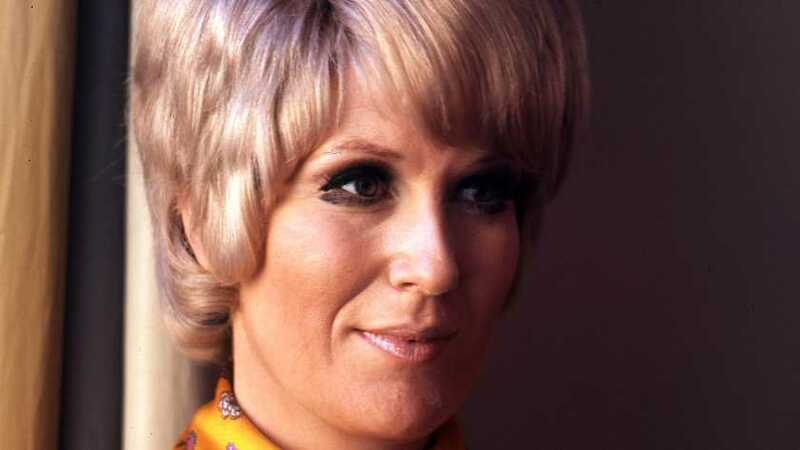 Karen Lee of Southampton asks "Whatever happened to the amazing Dusty Springfield?" Dear Mailman replies: "She's been living in America doing nothing musically as far as we know until recently when she provided back-up vocals for the new Anne Murray album. Maybe a return of the lady is imminent." Thank you. I do remeber this cutting Richard, its in my files somewhere. Thank you Richard. I went to see this show in the 60s and Dusty was just amazing, and so funny. I came across this photo yesterday whilst looking for something else entirely. It's by the same photographer as the one of Dusty sitting on a bed with a cat. A little bit blurry I'm afraid but different enough to be interesting. Amazing find Carole , love it, an interesting pic indeed. Any info? No, unfortunately, apart from the name of the photographer, Peter Cunningham and the pics in what look like pages of a book. New to me, fabulous find, Carole! She seems to have changed clothes between the two shots, or maybe she just put on a cardigan. It does indeed look like a hotel room. So where does the cat come from? Pets are unusual in hotels. Puzzling. And the slightly drunk look on her face is unflattering. I've ambivalent feelings about this photo. Do you happen to know when and where it was taken? I found this one whilst searching around it was new to me. Corinna wrote: New to me, fabulous find, Carole! Sorry Cor, only just spotted this. I don't have any info on where it was taken but I have a feeling it was in New Orleans when Dusty appeared at the Blue Room. There was a discussion on FB somewhere and I posted an article of an interview with Dusty in her hotel suite there. I can't post it here as it tells me the file is too big! I've never encountered that problem before, so not sure how to get around it. Wow, thanks Carole! I've changed the file size so hopefully you'll be able to upload the file now. Looking forward to the article. I still can't post it Cor, I'll send it to you by message, maybe you can resize it. Thanks so much for sharing, Carole! Here it is! Nice to see this one in colour, from Getty. Found this whilst surfing around. This one was new to me. Absolutely new to me Cas. Do you know where it was??? Hi Mike, yes its at the Grand finale in New York. Heres the full photo. Thanks Cas. I think she looks stunning.......as usual......but perhaps I am a little biased. Dusty does indeed look very stunning Mike. Cas19 wrote: Nice to see this one in colour, from Getty. This is the same evening presumably from the stage photo as the outfit is the same? The Grand Finale photos were all taken on opening night, October 7, 1980. Somewhere in my archive is a complete set of proofs from the shots. Hi Ed, would LOVE to see that complete set. I second that. If you ever find the time, Ed, please share your treasures...! Yes Ed that wpuld be lovely. First, I have to dig through lots of storage boxes and unfortunately given a current health issue, that ain't gonna happen anytime soon, so my apologies. Second, you do realize that the "proof sheets" are 2 inch by 2 inch pics. So scanning them in and posting them will not enhance the quality....alas. have we had this one before? No we haven't Clive....well I haven't anyway Thank you. I think it's the wrong way round and so I've flipped it over but can't make it as large as your copy. Thank you Clive, its a similar one to this one, but a lovely clear one. Here are shots of Dusty with two local acts who were on the bill with her at the Bolton Casino in Lancashire. The colored shot is of Dusty with a member of the Concords while the b&w is with the Heebie Jeebies - BTW the pic will enlarge if clicked. Dusty's gig with the Concords was on 18 April 1966 - not certain if the Heebie Jeebies were on the same Bolton Casino date but IMHO Dusty is identically coiffed - or wearing the same wig - in both shots so it's likely. I know Carole saw Dusty live at the Bolton Casino: if it was this gig perhaps she'll have some memory of the other acts on the bill. Apparently the Concords regularly featured Dancing in the Street in their set: at Bolton their manager advised them to skip the number as Dusty would be performing it. However the band played the number anyway: Dusty cut her set by one song and two of the Concords were especially blamed for the fiasco and fired (not saying it was at Dusty's instigation!). The Heebie Jeebies drummer Alan Pearce - on Dusty's right - fondly recalls seeing Dusty and Madeline Bell dancing in the wings during the band's set and opines that Dusty was "a real lady [with] no giant ego like lots of today's stars". I put this one on fb yesterday. I just scrolled through this page and saw the three (two) pictures of Dusty from Cas and Carole. They looked very familiar to me, so I did some fact checking. The picture is taken by Nico van der Stam, a Dutch photographer. He did many pictures of pop artists in the 1960s (for example The Doors, Gladys Knight & the Pips but also Madeline Bell) Because most of his pictures are taken in Holland (Amsterdam) I guess this picture of Dusty is taken there too. I also looked up the whole picture. Heres two that were new to me.